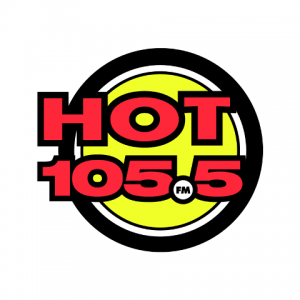 Hot 105.5 FM Charlottetown, PEI legally recognized as CKQK-FM is an English language commercial station based in Charlottetown, PE. The Top 40 and Pop format station launched on July 25, 2006 and owned by Newcap Radio is a sister station of CHTN-FM. PEI’s #1 Hit Music Station is the tagline of the Hot 105.5. CRTC gave the approval of the station offering Classic Rock dating back to 90’s, 80’s, 70’s, 60’s and beyond on March 24, 2006; the frequency and ERP proposed were MHz and 100,000 watts respectively. However upon the advice of CRTC, CKQK chose 105.5 MHz as its frequency n July 2006 with a wattage of 33,000. K-Rock 105.5 (CKQK) was briefly launched from its base studios at 90 University Avenue after a signal test on July 25. The audiences reached by the channel were between the ages of 25 and 44. Welcome to The New Hot 105.5! Listen 105.5 FM Charlottetown (CKQK-FM), PEI’s #1 Hit Music Station live from Prince Edward Island. Wait as the player loads the stream.